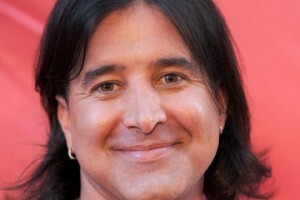 In a recent interview with The Fix, Scott Stapp talked about his struggles with breaking away from alcohol addiction. It was a very candid interview and some of his comments about relapse are likely to give hope to those struggling to achieve sobriety. Instead of allowing his relapses to sap him of his motivation for sobriety, he has tried to learn from his mistakes so that he can be stronger going forward. Scott Stapp is best known as the lead singer and lyrist for the alternative metal band Creed. He grew up in Orlando, Florida in the US, and has been a member of Creed since 1993. The band enjoyed plenty of success in the nineties, with their first three albums selling over 50 million copies. While enjoying the fame, Scott soon fell victim to the excesses of the rock star lifestyle. He spiralled into alcoholism and it was his deteriorating behaviour that was one of the main reasons the band split up in 2004 (although they are now back together). Scott Stapp describes his fall into alcoholism and drug abuse as an extremely painful process. It drove him close to suicide; one night he was hallucinating so badly that he almost jumped out of the window of a room on the sixteenth floor of a hotel. Things continued to spiral out of control until 2010, at which time Scott decided to get help for his addiction problems. He entered rehab and decided to make sobriety the number one priority in life. Despite Scott’s strong commitment to the path of sobriety, he did have a couple of relapses – the last one was a year ago. He felt like a failure after his first return to drinking, but he realised that there was no point in beating himself up over it. The main thing is that he has since recommitted to sober living, claiming to have learned from his mistakes. Is Relapse a Normal Part of Recovery? It is often said that relapse is a normal part of recovery, which would suggest that Scott’s relapses are just part of the process. It is common for individuals to return to addiction a few times before they are finally able to break free for good. Occasionally a temporary return to drinking can be a good thing in hindsight, as it encourages the person to put more effort into their recovery. It is important to be clear that saying ‘relapse is a normal part of recovery’ does not mean that it is okay to return to drinking for short periods. The reality is that many who relapse never again manage to achieve sobriety. This means that by returning to drinking they have lost their last chance of recovery, facing a life of lost opportunities and misery. It is also important to understand that it is not necessary to relapse in order to build a strong sobriety, as the goal is always to free of addiction first time and remain sober indefinitely. The real meaning of relapse being a normal part of recovery is that individuals should not feel too despondent if they return to drinking. The person who drinks again has messed up, but they can return to recovery and use their mistake as a learning experience. If the individual does not learn from their relapse, they are almost certain to repeat the same mistake in the future. Scott Stapp tried the rock idol lifestyle, but he now says that life in recovery is much better. He no longer feels numb to the world and he is not facing a future of steady deterioration due to addiction. Hopefully he has learned from his relapses and can now enjoy sobriety for the rest of his life.